Safety Plus Australia’s anchor points can be used in a wide range of applications requiring unique methods of attachment, such as timber trusses, steel purlins, chemset concrete and surface mount for metal roof profiles for both fall arrest and abseiling rope access. All Safety Plus Australia supplied anchor points have been manufactured to comply with AS 5532 and installed to the AS 1891. Our skilled team is highly competent, trained and accredited to install and deliver a service which provides peace of mind to building owners and future users of fall arrest and abseil rope access systems. With a commitment to fall protection, Safety Plus Australia is one of the country’s most trusted supplier of anchor points, static lines and related safety products. For additional information about any fall arrest system application, contact our expert technical team by emailing us at info@safetyplusaustralia.com.au or calling us on 1300 713 566. Roof safety anchor points are designed to provide safe access to fall-risk areas such as roof edges. These products allow safe and easy maintenance of roof-mounted equipment. 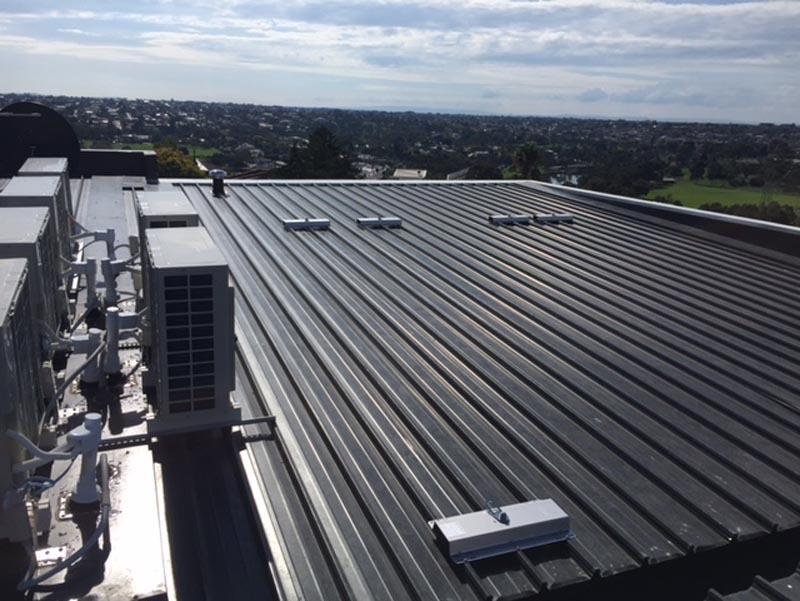 At Safety Plus Australia, we offer top quality roof anchors and anchor points, which are designed to meet all the compliance and safety needs of your premises. Able to be safely installed in both indoor and outdoor environments, our selection of roof safety anchors can help keep workers safe if a fall does occur. Anchor point is a type of fall protection equipment which is used while accessing different areas on a roof. When installed at safe intervals, they provide added fall protection. All our height safety systems are innovative and compliant. This makes them an ideal choice, which can be relied upon when it comes to height safety. 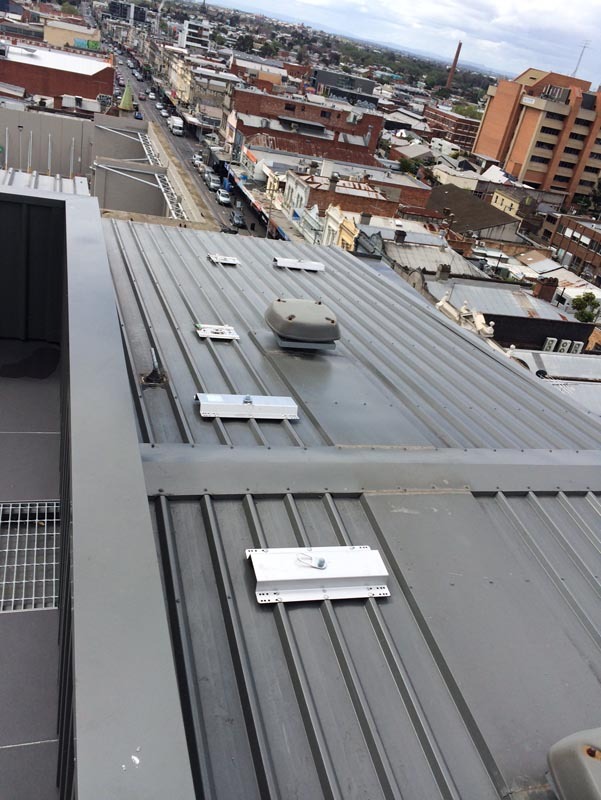 To find out more about Safety Plus Australia’s roof anchor points, Melbourne and interstate customers can reach us at info@safetyplusaustralia.com.au or by calling us on (03) 9879 5230. Safety Plus Australia – with a commitment to fall protection, anchor points, static lines & related safety products, we’re the country’s trusted supplier. Anchor Devices, also referred to as anchor points or roof safety anchor points, are a compliant means to access the fall edge of a work area. Designed and installed by a height safety industry trained installer, an anchor point system is a means to provide full roof coverage whilst not having the preferred, but aesthetically imposing, handrail to the perimeter of the work area. Anchor points are a great access method to gutter systems, plant near a fall edge of the roof, or areas where handrail will not work with the environment. There are two types of anchor devices. Fall Arrest (15kN) and Rope Access (12kN). A fall arrest anchor is designed to arrest your descent should you fall from the roof. A rope access anchor device is designed for twin rope or abseil access. These are two very different anchors with different load capacities and should be confirmed prior to any use. If you have any confusion about the applicable contexts for either options when it comes to your fall protection anchor points, get in touch with us at info@safetyplusaustralia.com.au for additional info. Another anchor device is a Horizontal Static Line. These lines are great for long continuous gutter systems that require regular cleaning, as they do not require constant reattachment as anchor points do, minimising human error (which can be an issue with other, fixed roof anchor points). Anchor Point Systems should be used only by industry qualified competent persons, using compliant harness equipment and site-specific PPE. All anchor devices should be inspected and recertified every 12 months in Victoria or as per manufacturers specifications, by an industry qualified competent person. Additionally, with horizontal static line systems it’s important to regularly test the tensile strength of the cable and re-tension when necessary. 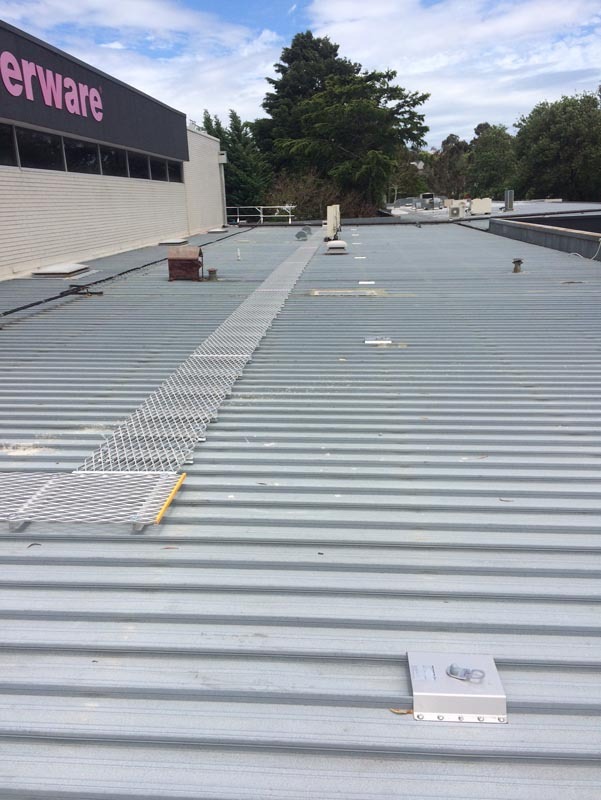 Offering safety tagging and recertification services, simply get in touch with Safety Plus Australia for help to ensure you’re up-to-date with meeting Australian roof safety standards with your anchor points and lines. 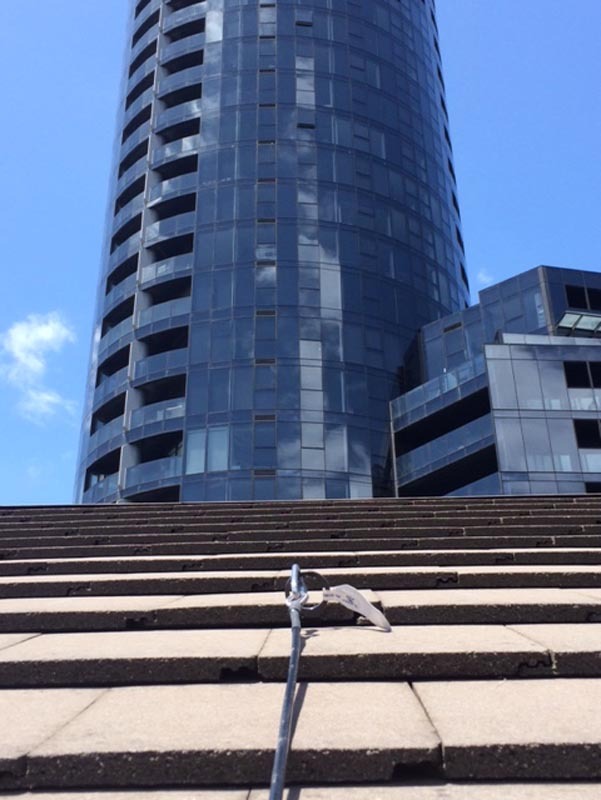 Anchor Points are just one type of Fall Protection when accessing areas on a roof. Roof safety anchor points are installed at safe intervals to provide extra fall protection. With our safety anchor points, customers can have full faith in the durability and strength of our galvanized materials and quality manufacturing. At Safety Plus Australia, your safety is our priority. To learn more about our superior range of safety anchors made for installation on roofs and roofing structures call our attentive and knowledgeable team today on (03) 9879 5230. Apart from offering quality roof anchor points, we also have highly qualified and certified specialists who can assist you. Our efficient anchor point team has mastered the technique of installing roof anchor points. Designed to increase safety, our roof anchors can be installed into a variety of different materials, providing secure and reliable points to attach additional fall protection equipment. Years of experience have helped them in developing an eye for detail while carrying out anchor point installation. In this way, we provide the highest possible standards of service. We can also provide you with an installation quote if required. If you want to invest in quality anchor points or would like to get some more information about our products, pricing or services, contact us on (03) 9879 5230. You can also drop an e-mail to info@safetyplusaustralia.com.au. We look forward to assisting you.